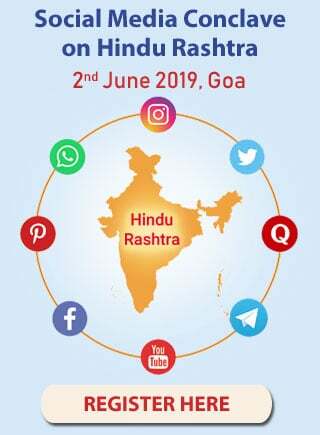 Resolve to take active part in the mission of establishing Hindu Rashtra during ‘First Regional Hindu Convention’ in Gujarat State ! 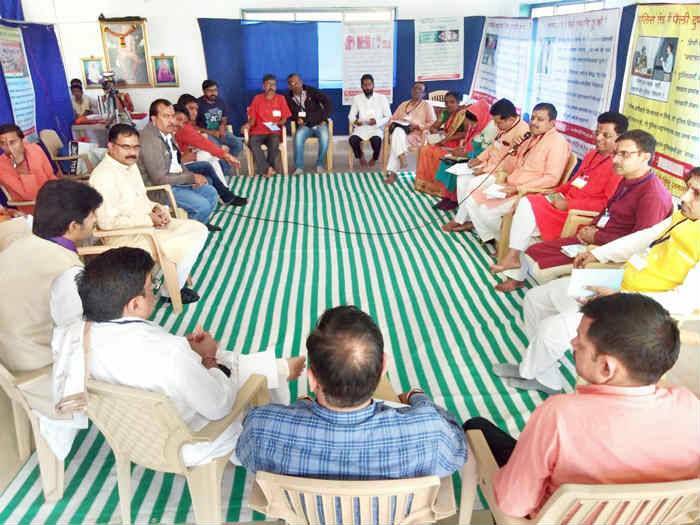 Devout Hindu activists and HJS members having discussions during Hindu Convention ! 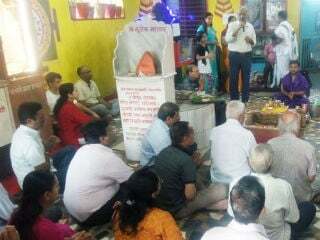 Umbergaon : Hindu Janajagruti Samiti (HJS) held the first regional Hindu Convention wherein devout Hindu activists and representatives of pro-Hindu organizations from Silvasa, Surat, Baroda, Vapi, Valsad, Navasari and Umbergaon participated. 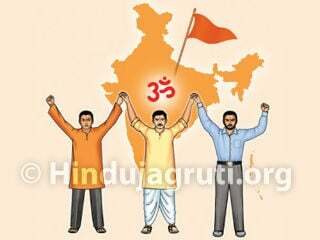 They made a resolve to take active part in the mission of establishing Hindu Rashtra. In the beginning of this Convention, Shri. Jayesh Gor, a staunch pro-Hindu businessman and Bhagavatacharya ‘Pujya’ Chandubhai Shukla were felicitated by Shri. Manoj Khadye, Coordinator of HJS for Gujarat State, western Maharashtra with Konkan region. Shri. Vijay Patil then read out a message sent by ‘Paratpar Guru’ Dr. Jayant Athavale on this occasion. On the first day of this Convention, Shri. Santosh Alashi explained the purpose of holding such Convention. ‘Pujya’ Chandubhai Shukla, Shri. Brahmanand Dadhich and Shri. Manoj Khadye gave guidance on the topics viz. ‘Need for Hindu Rashtra’, ‘How to sow seeds of ‘Hindutva’ in every Hindu’, ‘How to take active part in the mission of establishing Hindu Rashtra’. In the second session, Shri. Pankaj Rami and Shri. Manoj Patel of Sanatan Sanstha spoke on the topic of ‘How to take care during forthcoming period of strife’ while Shri. Manoj Jha explained the problem of love jihad. On the second day of this Convention, Shri. Manoj Khadye gave guidance on ‘Sadhana’; Shri. Ashish Galoria spoke on prevention of denigration of Deities and Shri. Manoj Khadye and Shri. Pankaj Rami spoke on fighting against anti-social tendencies. Shri. Akash Alahapara narrated his experiences based on incidents of protection of cows. Shri. Vijay Patil spoke on ‘Dharma-kranti’. Group discussions were also held on various subjects. Shri. Ravibhai Acharya made arrangements for stay taking full responsibility of this ‘seva’. He was present though he went through a minor accident and his foot was injured. 2. Shri. 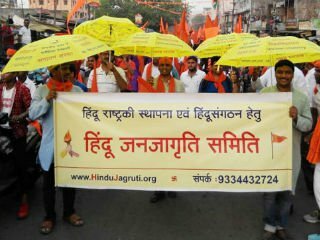 Parag Trivedi – Realized importance of ‘Dharmashikshan’ due to HJS. 3. Shri. 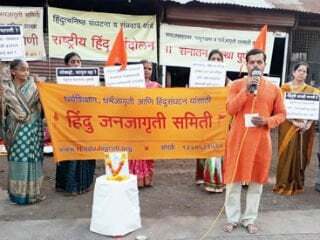 Yatin Bhandari – Will take initiative in organizing ‘Hindu Rashtra-jagruti Sabha’ at Nagagol. 4. Shri. Ashish Galoria – Importance of God’s grace should be kept in mind by those, who are working for ‘Hindutva’. 5. Shri. 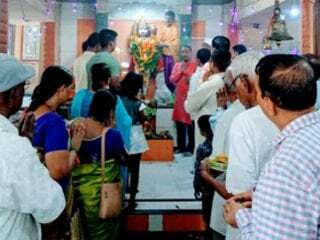 Milind Potdar – All material from our mutt will be made available to HJS for its divine mission.